Slovakian-born Simona Šaturová studied at the Bratislava Conservatory and attended master classes with Ileana Cotrubas. The soprano performs throughout the world, with concert appearances occupying an important role in her work. She sang Gustav Mahler's "Resurrection" Symphony under Christoph Eschenbach at the reopening of the Salle Pleyel in September 2006. Following this great success, she was immediately engaged by the Philadelphia Orchestra for concerts in Philadelphia, on which this recording is based, and at New York's Carnegie Hall. In addition to engagements in Detroit and Toronto, Simona Šaturová has recently appeared in Krzysztof Penderecki's St. Luke Passion, conducted by the composer, at the Schleswig-Holstein Music Festival, concerts at the Oregon Bach Festival in Eugene (including Brahms's Requiem and Beethoven's Missa solemnis) and in Japan under Rolf Beck (Mozart's "Coronation" Mass), in addition to concert performances of Idomeneo with Leopold Hager at the Philharmonie Luxembourg and Davidde penitente in Portugal. 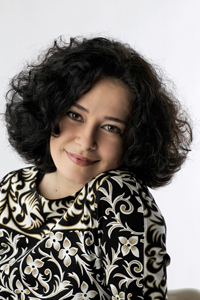 Simona Šaturová sang the role of Pamina at the Frankfurt Opera, where she will also appear in revivals of Il viaggio a Reims and Un ballo in maschera as well as Lucia di Lammermoor during the 2007-2010 seasons.